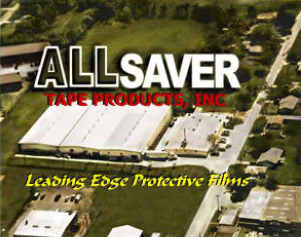 ALLSAVER Tape Products began research and production of transparent protective films in 1981. Specialty manufacturing and warehousing; ALLSAVER offers a large selection of stock and custom transparent films. Specializing in protective products for sporting goods, snow skiing and all forms of transportation on land, water, and in the air.